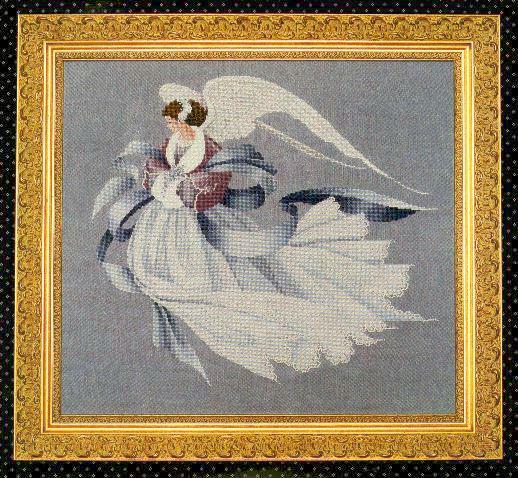 The fourth angel in the angel of the seasons series is dressed in cool blues and lavenders. She carries a muff of fur done with Wisper thread. Stitched on 32 count Twilight Blue Linen (2 over 2) from Wichelt. Mill Hill beads from Gay Bowles Sales. W88 White wisper thread from Rainbow Gallery. 001HL Silver thread from Kreinik Manufacturing.